Colorado family law cases involve a wide array of sensitive, highly emotional issues. Under the law, everyone is legally entitled to equitable and fair treatment. At Bloch & Chapleau, LLC, our Denver-based firm is committed to protecting our clients’ rights in family law disputes. Our family law attorneys have the skills and experience needed to assist you with any aspect of your Colorado divorce case. We also handle marriage annulments and other related issues. If you and your spouse are separating, we can help you protect your legal rights. We draft and review prenuptial and postnuptial agreements. Essentially, prenups/postnups are contracts that control the division of property should a couple decide to get divorced at some point in the future. We can help you create prenup or postnup that is enforceable under Colorado law and that effectively protects your best interests. Colorado is an equitable distribution state. This means that marital assets and debts are divided in a manner that is fair to both sides. Property disputes can be extremely complex, especially for high net worth couples, or for couples who own complicated assets. Our attorneys will assist you in fighting for your fair share of the marital property. Parents often face a difficult battle in child custody proceedings. Assuring that children are placed in the best home, and that parents are able to be a part of their children’s life is a top priority. We can help you fight for your parental rights. Our firm has extensive experience handling all aspects of child support cases. We make sure that our clients are paying (or receiving) the proper amount, as is stipulated by Colorado law. Our firm also has deep experience handling paternity case. Finally, our firm also handles alimony cases. The Supreme Court requires that alimony laws are gender neutral; this means that either a husband or a wife may potentially be entitled to alimony. We fight to protect the rights of our family law clients in spousal support cases. 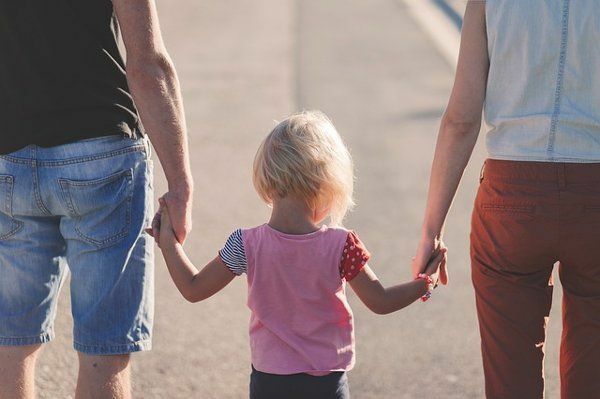 At Bloch & Chapleau, LLC, our dedicated family law team has extensive experience protecting the rights of our clients in Colorado. We will help you get the fair and just treatment you deserve. To request a confidential review of your case, please do not hesitate to contact our team today. From our offices in Denver, Park Meadows and the Vail Valley, we serve clients throughout the region, including in Jefferson County, Eagle County, Summit County and Park County. Thank you all so much for your time and effort to help my daughter gain more time with me. It means lots and shows how outstanding your firm is and how much truth and faith you have in me. We need more people in this world like your firm. I believe it would be a better place. Thanks again for everything.